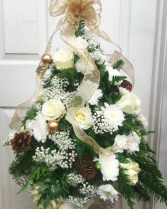 Make your tabletop tree be a fresh one! 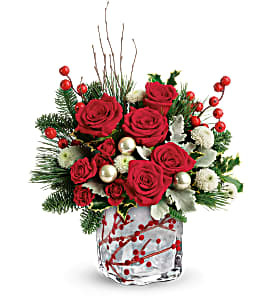 This all-around arrangement is perfect for any home or office. 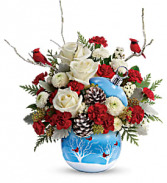 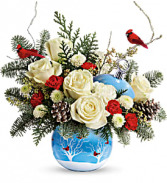 Includes Christmas greens, roses, carnations, mini ball ornaments, and mini pinecones.